If you see something that looks like a duck in the water at Roaring Bay* in the Catlins, chances are it’s a hoiho, or yellow-eyed penguin. 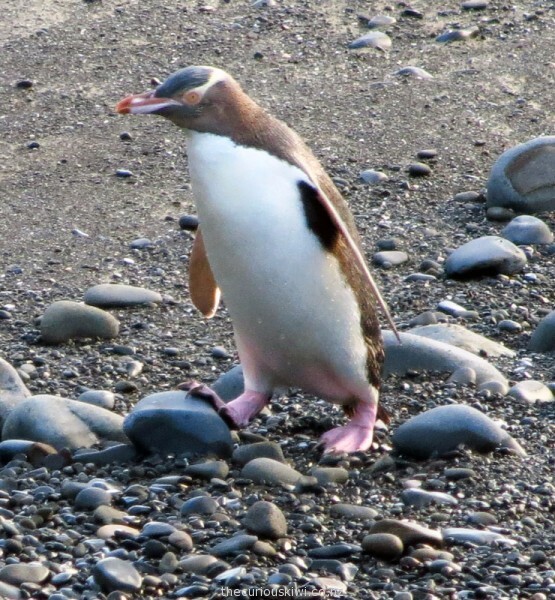 By the time you realise that ducks don’t belong in the sea, the penguin may be upright on its bubble gum pink feet and swaying across the stony shore. 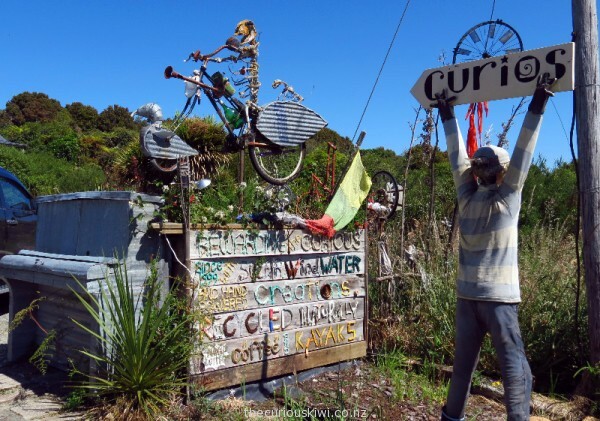 There are a few uniquely New Zealand experiences you can have for $5 or less – you can hire a spade and dig your own hot pool at Hot Water Beach, visit Weta Cave in Wellington (free), and see all the curious creations at The Lost Gypsy Gallery in Papatowhai, the Catlins (seasonal hours*). I’m not sure there are many towns that have more than three tea pots per head of population, but Owaka in the Catlins area does. 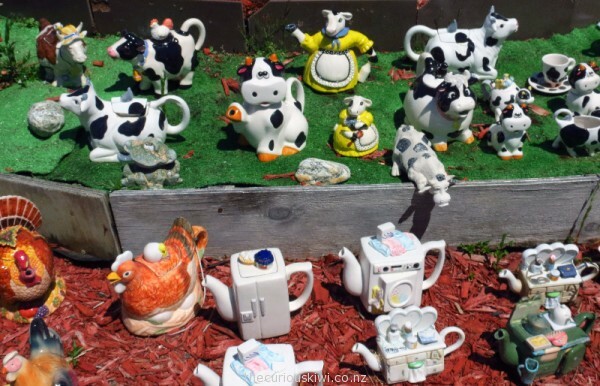 In summer, there are more than 1200 tea pots in the garden at Teapot Land on Main Road. The owner of Teapot Land is actually a coffee drinker, I’m not sure whether the unusual collection started with a tea pot, a coffee pot, or a kettle, but Teapot Land it is.